INSTANT CLIENTS WITH PAID SEARCH, REALLY? Clients are looking for exactly what you offer, right now and with Google Ads, they can find YOUR professionally developed website with paid search, right now! The power of Adwords lies in instant results. If you use a professional Adwords consultant, you can gain very cost-effective, measurable and highly targeted new clients NOW. 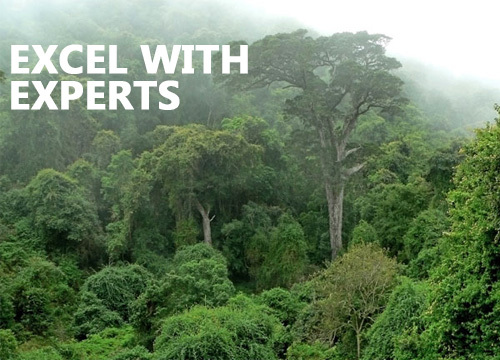 If digital marketing is costing you too much, get a pay-per-click Google Ads expert today! "I was super impressed with Website Silk's digital marketing, including... SEO optimization and Google AdWords... They know how to align online strategy with business strategy and how to make money from it." 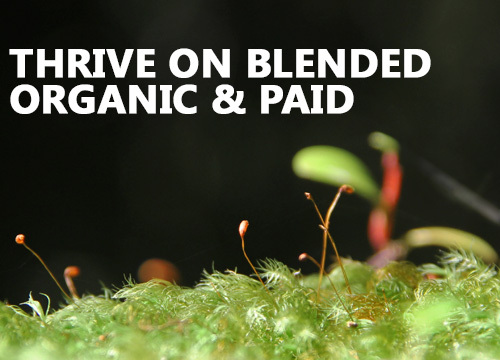 Organic Search placement is free, but takes a long time to work and largely out of your control. 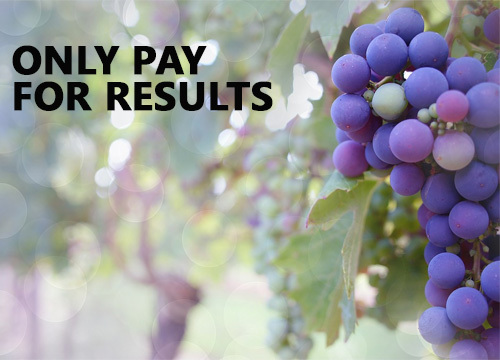 Paid Search costs you, but offers instant results, under your control. 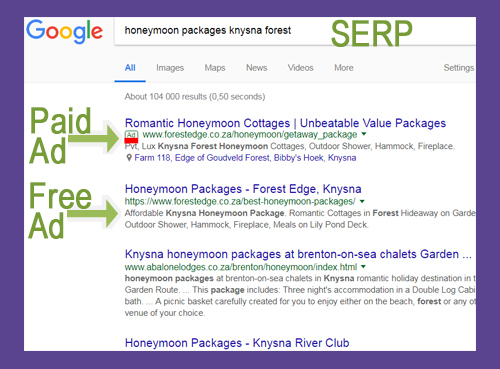 IF your website has excellent SEO (Search Engine Optimisation), all your web pages are indexed and getting lots of relevant traffic so Google ranks your website well, THEN it may come up high in the SERPs (Search Engine Results Pages) for your search terms. To overcome your limited influence over how search engines rank your website organically, buy web clicks via Google Ads / AdWords (Paid Search / PPC / Pay Per Click marketing). Professional Adwords campaigns target your ideal client, when they need you, and show your ads at the top of the SERPS at a cost. You have total control over your budget, ads, timing and target demographic. 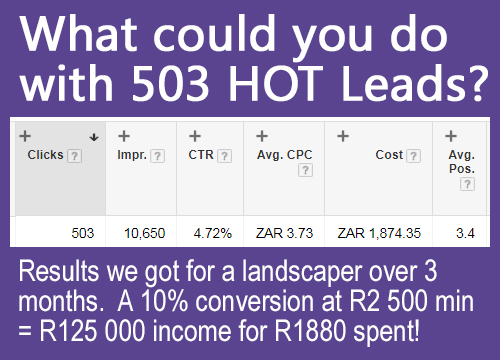 Adwords is very powerful and cheap if set up correctly; an expensive mine-field if not done professionally! While the Google Ads concept is simple, its correct implementation is complex and technical. An Adwords expert will create highly targeted campaigns and well-written ads leading to relevant landing sites to boost your Quality Score: your Cost-Per-Click drops and your Click-Through-Rate increases over time. You pay Google for each qualified click to your website. If you pay for unwanted or unconvertable clicks, it's due to poor campaign set-up. Ongoing professional management by an Adwords manager reduces your campaigns costs while optimising to improve Google's Quality Score, which further reduces costs. If you need a Google Ads campaign, or have an ineffective campaign that is costing you too much, get a qualified Adwords consultant who knows the success factors of quality Google Adwords campaigns. Inputs include: Marketing Strategy, USP's, Ideal Client, Analytics, budget, relevant Landing Pages, key phrases to be found for plus those you DON'T want to pay for. Our Adwords consultant will refine the search terms via a keyword tool research (plus our secret recipe!) and then meticulously construct the campaigns, ads, keywords, bids, demographics and other targeting mechanisms in the Adwords tool. Ongoing management includes the review of your Analytics and campaign results in order to tweak key phrases, adjust bids and add negative key words. 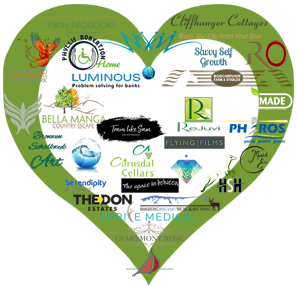 "Website Silk helped me to navigate a whole new world and did it with such efficiency and care. Ronel really tunes into one's needs and is able to give really practical advice. I feel incredibly empowered by my new knowledge..."
If you are new to Google Ads / Adwords, we'll teach you the terminology and guide you along the process. You cannot afford to ignore this cost-effective marketing avenue. This is work we love! Costs are tailored to your budget and needs; though the important point is that you only pay Google (or whichever search engine you use) for actual targeted searches that click through to your website. In paying for the setting up of the Google Ad campaigns, as always, you get what you pay for! We offer the setting up of professional paid search Google Ads campaigns at reasonable fees. The client's input can reduce costs, i.e. if the client is clear on USP's, anchor products, shoulder niches and key phrases. We also offer a full turn-key service if required: we analyse your marketing strategy, do competitive analysis of key words, shoulder niches and anchor products. Setting up campaigns can take from a few days to several weeks depending on the number of campaigns. All campaigns require ongoing monitoring and ad campaign management and we also offer this on a retainer service or per time basis. Adwords metrics allows you to assess your results and to adjust your budget, bids or even pause your campaigns. If Google Ads are not bringing in good business for you now, it wasn't set up by an Adwords expert. Is your inbox full of client enquiries? Is your Adwords' Click-Through-Rate > 3%? Do you genuinely like the clients you work with? Do you know how using "quotes", can save you heaps of cash? Do you understand why to use Adwords even if your site ranks high? You either need to pay for an exceptional website and ongoing professional SEO while you wait for Google to rank your site; OR you need to pay for professional Google Ads consulting for instant results; OR you pay for both if you want an explosion of new business and a sustainable competitive advantage! Creating structured Ad Campaigns in Google Ads is an exceptionally powerful form of bringing in business, and income, quickly - if set up professionally. To benefit from instant clients, though, you need AdWords campaigns to be running..
We have the Google Ads experience to help you with quality, cost-effective Adwords campaigns built quickly and to budget and we can do ongoing management of Google Ad campaigns on retainer basis, or per-time basis. "I highly recommend Ronel for her attention to detail, her passion, her drive and her objectivity." Take our fun free Quiz! Our clients are ALL OVER SOUTH AFRICA and beyond as we can work remotely. Get our FREE Digital Marketing Newsletter. You can unsubscribe any time and we will always keep your info private. NOTE: We work remotely with clients all over South Africa and beyond.